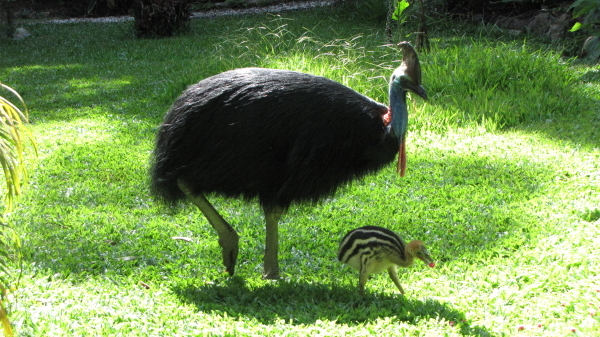 The resident cassowary with his 2 three months old chicks is visiting almost daily to feed on the many native fruits which are available at the moment. They particularly like the fruits of the native Black Palm (Normanby normanbia) , native Ginger (Alpinia coerulea) and the exotic Queen Palm (Syagrum romanzoffia). 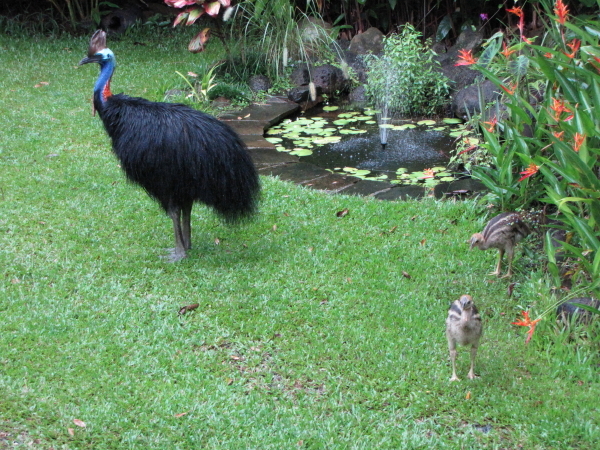 This season’s chicks seem feistier than usual, they are already chasing the red-legged pademelons and our male brush-turkey, who has his mound just behind our pond. 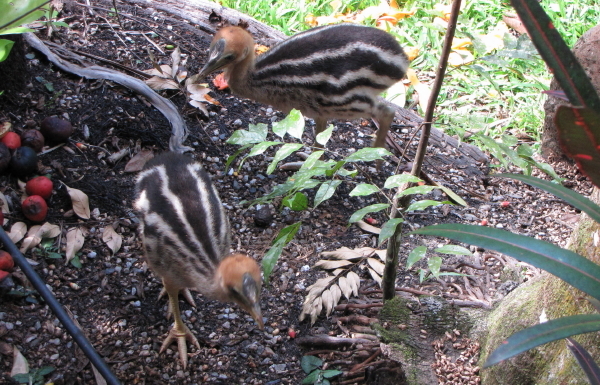 The brush-turkey always acts very nervously when the cassowaries are here, torn between fight and flight. 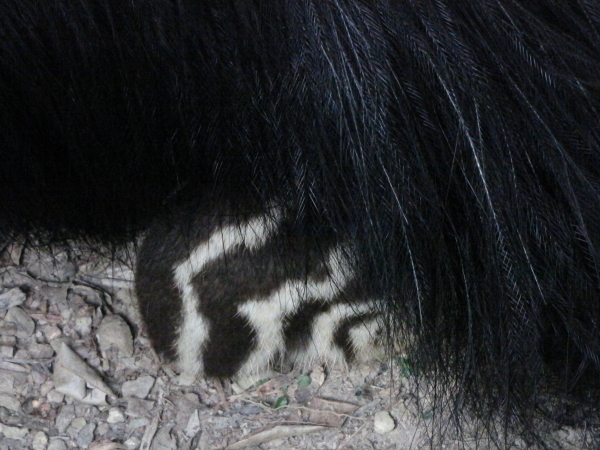 I do not think that the cassowaries pose a threat to the brush-turkey’s brood, but the turkey has every reason to discourage the lace monitors (Varanus varius) from coming too close – they would dig out and eat the eggs. 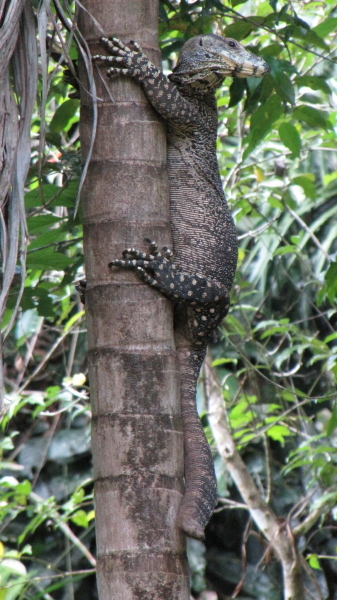 He vehemently defends the area around his mound, chasing the goannas across the garden into the forest, throwing dirt and mulch at them and the lizards mostly end up clinging to a tree out of the turkey’s reach.